Pipettes are commonly used in laboratories to transport liquid that has been measured accurately. These are the best equipment to use when transferring less than 100 millimetres of a solution from one container to another. Pipettes are also used in educational institutions for laboratory work in microbiology, environmental sciences, medical, academic and research labs. Measuring pipettes are calibrated into smaller divisions, which helps provide more accurate results and also enables measured quantities as small as one micro-litre. We offer a range of pipettes and testers that are durable and easy to use, making them a valuable addition to your business. Contact us today to find pipettes and additional equipment that is reliable, accurate, well-priced and that suits your needs perfectly. 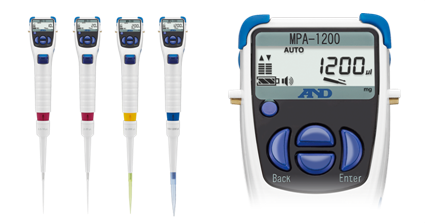 Browse through our range of Pipettes below to find a product that’s right for your needs. 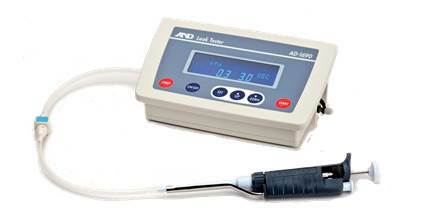 Contact A&D Weighing for more information.